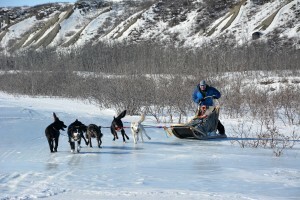 We have a number of different dog sled tours planned in and around Denali National Park. Below are some of our usual trips, but all trips can be modified, and we encourage people to customize trips to their individual desires/needs. Denali Dog Sled Expeditions has paired up with local Bed and Breakfasts in Healy to offer complete service and support for guests participating in our sledding trips. This service will reduce logistics, and in many cases, extra costs, for out-of-state visitors. All you will need to do is arrive at the Fairbanks Airport, and leave the rest to us. No rental cars, driving on icy roads in the dark, and wondering where to stay while in the big city. The cost of this service varies depending upon the group size and arrival time, so when inquiring about a dog trip, we can give you the options. The bed and breakfasts are separate businesses, and services rendered by them are not included in the dog sled expedition price. If any of the trips do not fit your needs, please let us know, and we will design one for you. 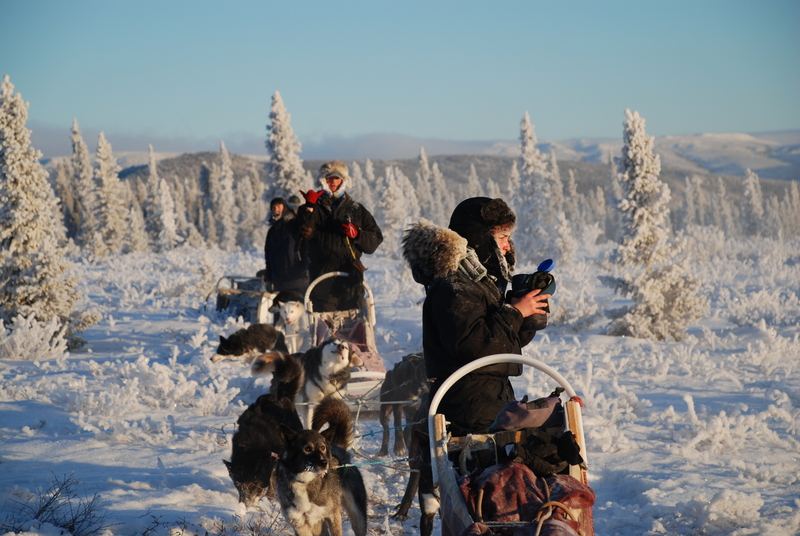 All our overnight dog sledding tours go into wilderness areas. While we will strive to provide you with the trip itinerary you plan for, everyone must understand that we have to work with the weather and trail conditions given us. Some trip itineraries may need to be modified depending upon the situation. Our track record guiding in the wilderness is excellent, but as our Alaskan climate is changing, winter weather at times is more unpredictable. In any case we will provide you with an excellent experience, no matter the itinerary. Denali Dog Sled Expeditions is authorized to use a series of huts through the park interior, along with our cabin on the Sushana River and two cabins at Wonder lake. This change allows us to offer trips up to ten days where every night is spend in a warm, comfortable backcountry cabin instead of camping. More space and comfort allows for a more enjoyable and safer trip, and each cabin is in a unique location. Cabins are available for dog sled passenger trips and cross-country ski-support trips, and are exclusive to our business. This is the perfect introduction to dog sledding in the Denali Wilderness area. The first day is spent at EarthSong Lodge, as an orientation and training day, with a short day trip on the sleds. The next two days you drive your own dog team to a backcountry cabin on the Sushana River, traveling along the historic Stampede Trail on the park’s northern boundary. The trip is for those who want a short adventure, driving their own sled and learning the art of dog mushing. For the guests who are uncertain about winter camping, but want a more in-depth experience than the Sushana River trip, we offer a trip out the park north boundary along the historic Stampede Mining Trail. This tour is similar to the Sushana River trip, but goes another 20 miles further west into the Denali Wilderness, where we stay at in a heated tent camp on or near the Toklat River. These two extra days afford guests closer views of Denali (Mt. McKinley), along with entering into an area of high wolf concentration. This trip is offered January through early April. The Toklat River Loop has been one of the most popular trips in our guiding history. After an orientation day at the lodge, we travel west along the Stampede Trail and the park north boundary staying the first night in a backcountry cabin and the second in a heated tent camp near the Toklat River. The middle of the trip route is up the Toklat River, into the Denali Wilderness, to the park interior. The return follows the Park Road Corridor east to Denali National Park headquarters, where the trip ends. This adventure gives an excellent mix of open tundra, river bars, mountains, and passes. It also poses some exciting sledding challenges. The Toklat Loop is for people in good to excellent condition, as it has some moderately difficult sledding situations, and elevation gains that require physical activity. It also offers an extra day for a day trip off the main route. The usual day excursions are to the summit of Stony Hill, for an exceptional view of Denali, or a trip up a glacier valley to one of the smaller glaciers descending from the Alaska Range. The flexibility allows us to go where the sledding is best. (This trip offered February – April 1). Due to the uncertain nature of the Toklat Narrows, there are some occasions where we are unable to complete the loop, and must return the same route out the North Boundary of the park. This is a rare but possible outcome, so participants need to be aware of this when booking. Break time on the tundra with the dogs. This 10 day trip is the longest we usually offer, and will take you on a grand tour through Denali National Park. The specific route varies from year to year, depending upon the snow and trail conditions. Some areas we often visit are the Clearwater Fork that takes you the back way to Wonder Lake, Wonder Lake itself, McGonnagal Pass and the Muldrow Glacier, the Kantishna Mining District, and sometimes the South Side of the Alaska Range. 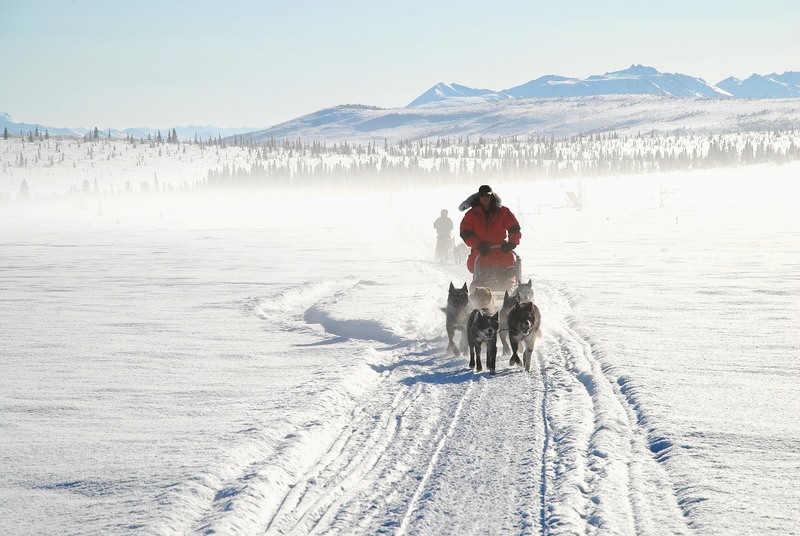 We feel this trip, no matter the itinerary, is the finest dog sledding expedition adventure offered anywhere. Usually only one 10-day trip is offered each season. The trip may also include flying one way to or from the Kantishna Airstrip or Wonder Lake, which includes a scenic flight over the park. Specific trip itinerary will go where the mushing is the best. One of our more popular trips, this is a one-way seven day trip through the park to Wonder Lake with a flight out by bush plane from the Kantishna Airstrip or Wonder Lake to Healy. Some trips go the opposite direction, flying in and mushing out. This trip allows for guests to get farther into the heart of the park, and spend more time at Wonder Lake near Denali. The price of the trip varies, and the basic rate plus airfare applies if another trip can be set up going the opposite direction. This trip option is popular with returning guests who are looking to see more of Denali National park. (Trip offered March to early April 1). Due to dependence upon aircraft transportation, there always is the possibility of delays due to weather. Guests should plan for this, with extra days both before and after the planned trip. This is not for guests on a very tight travel schedule with no ability to delay a day. The trips listed above are our most popular trips over the years, but we are able to customize trips for your expedition. We can easily add a day or two for guests wishing to spend more time around a cabin for exploring and photography, and adding a day can slow the trip down for people who don’t want to go straight from cabin to cabin. 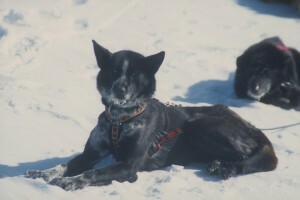 We can also mix mushing with a day or so of skiing or snowshoeing. For returning guests, some trips can go into wilderness outside the park (Yanert River Valley) or on the South Side of Denali National Park. With the advent of climate change in the north country, the mushing season in and around Denali National Park and Preserve has been more erratic lately. We have compensated for this by including trip options that aren’t totally dependent upon the trail conditions our from our lodge. Trips like the Sushana River 3 and 4 day trips may be modified to start and end at the Park Entrance area, utilizing the hut system we have there. We feel the experience you can get with a trip there is equal to what we offer out the North Boundary, so these alternates still meet our high standards. Check out our Facebook page for photos and videos from our recent Sled Dog Tours! Rates listed are for the 2019-2020 season and are subject to change without notice.